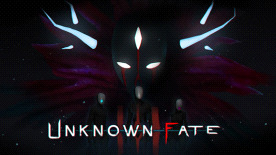 Set off on an amazing journey through Unknown Fate, an enigmatic story-driven first person action adventure. Passing seamlessly from the real world into a surreal universe you’ll come across strange characters and unfamiliar artifacts. Engulfed in mystery, you’ll take cautious steps deep into the unknown, only to have your mind swept away by yet more questions, nibbling at your grasp of what you think is real and true – your certainties will start to crumble. © 2018 1C Company. Developed by Marslit Games. All rights reserved.